Your first port of call, obviously, is to check your alignment. This might seem basic but I’m always surprised by how many amateurs aim offline without realising. 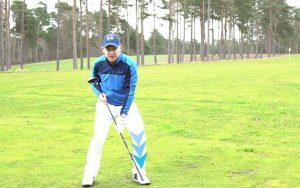 A great way to check your clubface alignment is to take your normal address position and then lift the club up so that your hands are at waist height. Now look to see if the face is pointing towards the target. If you struggle with a hook, it may well point more towards the ground. This is a slightly different, but useful way of checking face alignment. Your next checkpoint is your grip. What you need to look out for is, with your hands directly below your chin, can you see three knuckles in your left hand but only one in your right? If so, this grip is too strong and you’ll have a tendency to hit hooks. Whenever you make grip changes you should make small adjustments, so in this instance start with seeing one and a half knuckles in your right hand. Hit half shots and you should see the difference. Slowly work your way towards grooving a more neutral grip and you’ll kill your hooks for good. Another common cause of the hook is an early release of the angle in the hands through impact. In my experience, this happens because players stop rotating their bodies through impact. 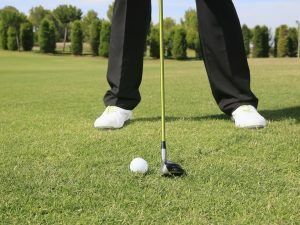 A great tip that will really help is simply to turn your left toe out a fraction at address. This will encourage the body rotation you need to coincide with the release of your hands. Your hook should quickly turn into a controlled draw. 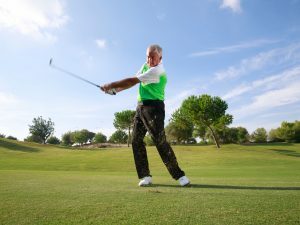 Probably the most common swing-related cause of the hook is an inactive lower body. 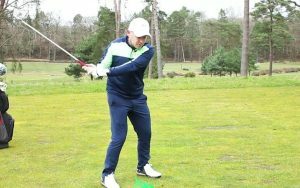 If you struggle to transfer your weight during the downswing, failing to use your lower body effectively, your hands will overtake your body and a quick hook is very much on the cards. A great drill for anyone asking why do I hook the ball is this. 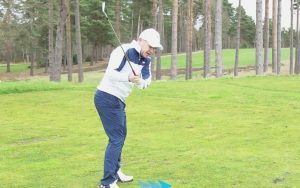 Take your normal address position but close the face of your iron – the two alignment sticks show just how much I’ve closed the face here. 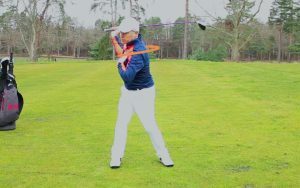 From this position, make a normal swing but try to hit a straight shot. 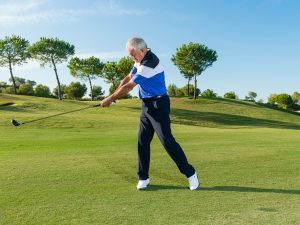 If you fall into your old habits you’ll hit the ball miles left so your mind should automatically help you find a better move. 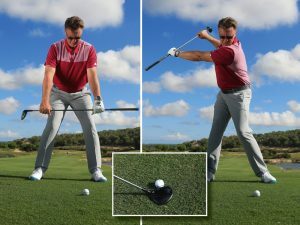 The only way to hit a straight shot is to really rotate your body hard through the ball, shifting your weight and delaying the release of the club a fraction. 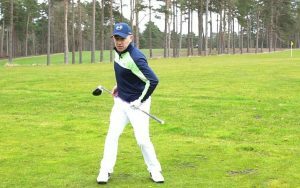 This drill is a great one to help groove a much better swing sequence.